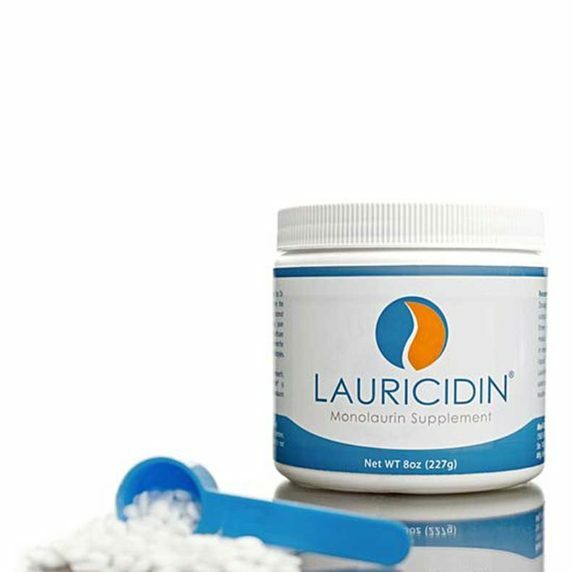 Unfortunately, synthetic vitamins and commonly marketed forms of minerals often create more problems than the nutrient deficiencies they are supposed to address. 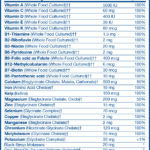 Only vitamins in the whole food form contain what is needed for those vitamins to be broken down and used in the body. Synthetics literally pull nutrients from the body rather than restoring these vital substances because they contain only a portion of tocopherol the entire nutrient. 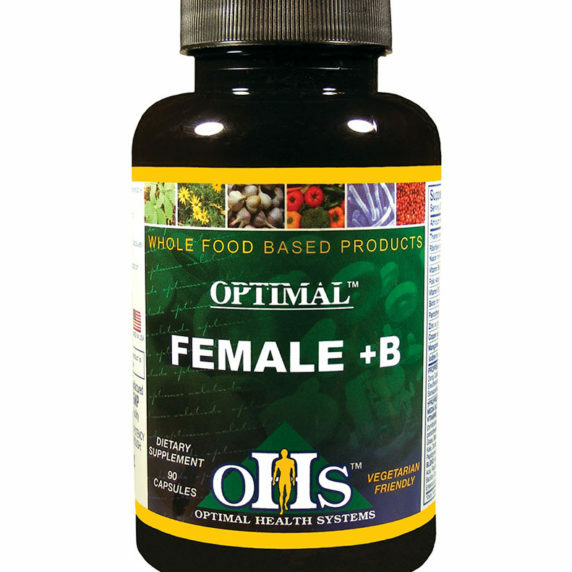 For example, with vitamin E, synthetic vitamins will only contain alpha tocopherols. 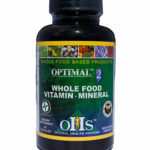 What is the source of vitamins in Optimal 2 Vitamin/Mineral? 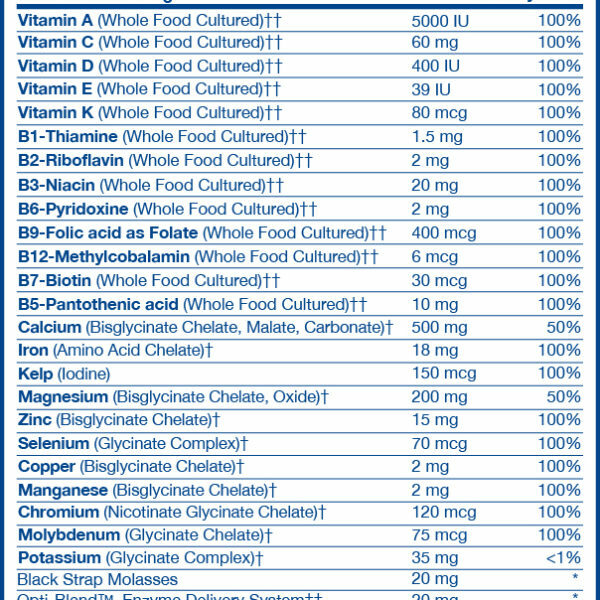 How does the amount of vitamins in Optimal 2 compare to the RDA or RDI? 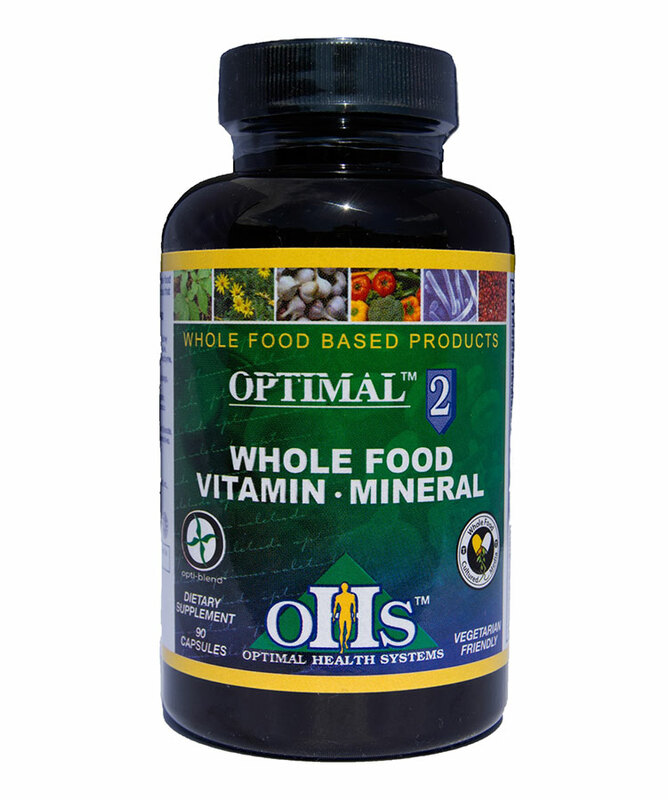 We use only whole foods as a source of vitamins in our Optimal Vitamin Mineral Antioxidant supplement. 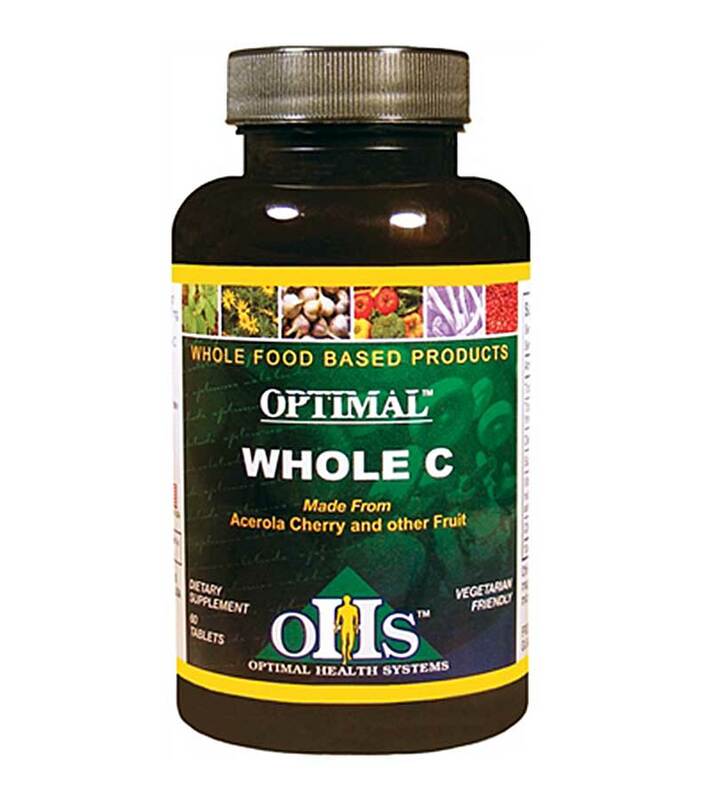 There is a difference between whole foods and high potency synthetics, and your body knows it. Test animals on a high potency enriched diet do not live as long as those on the same low vitamin diet without enrichment. The apparent benefits derived from laboratory made vitamins are short lived and after time benefits actually reverse. 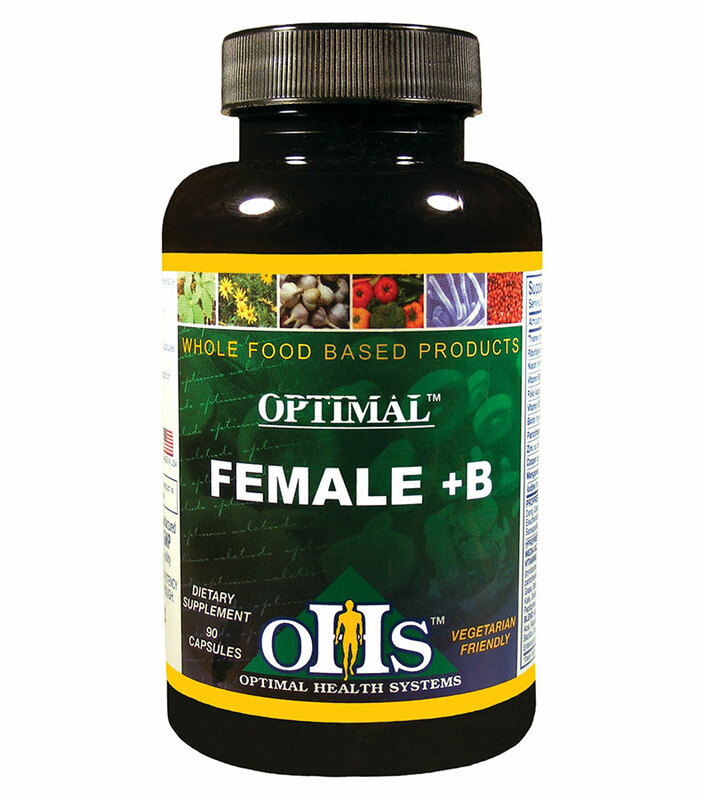 Natural food complex supplements are typically of a low dose until now. The effects of natural and synthetic are wholly different. The dosages have no relationship on a comparative basis. In an article on nutrition the author asked the question, “Would you rather take 100% of a substance that takes away life or 5% of a substance that adds life”. The exciting news about our Whole Food vitamin mineral formula is that you get 100% of the RDA and it is from whole foods. Why does OHS use organic chelated minerals? Optimal nutrition is not just a properly balanced intake of proteins, fats, carbohydrates, vitamins, minerals and water. 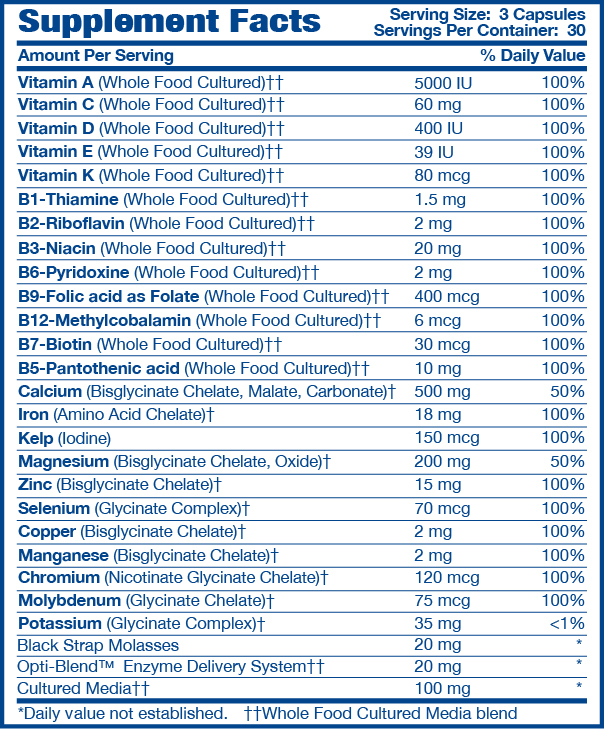 These nutrients must be readily absorbable and bio-available; otherwise, they are nothing more than waste material. 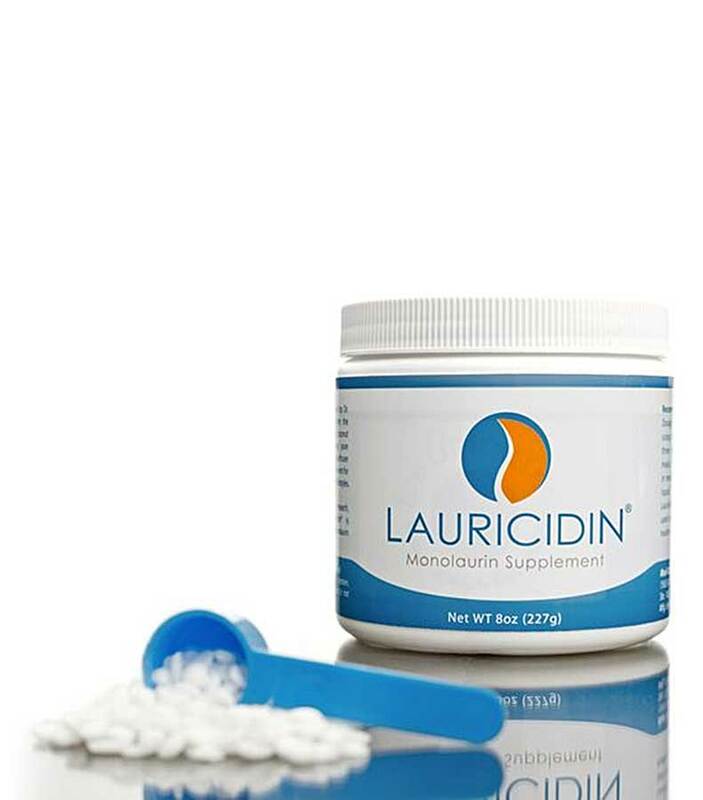 Only bio-available minerals enter and enhance the body’s metabolic processes and contribute to the maintenance and production of healthy tissues. Some forms of minerals are more bio-available than others. It is possible to combine specific amino acid chelates with other factors, such as enzymes and probiotics, so that the resulting formula can cross the intestinal barrier and target specific tissues. This clearly demonstrates the methodology for formulating nutritional supplements to insure that they will be transported directly to the tissues. Amino acid chelates can be formulated for delivery to one or more specific tissue sites within a mammal. The patent for this unique formulating method is extremely broad, well supported, scientifically researched and is completely scientifically based. The patented chelated minerals used exclusively in all of the OHS formulations have demonstrated superior bio-availability and are more absorbable than other forms of minerals.This formula provides 100% of the RDA utilizing higher absorbed organic chelated minerals. Can children take Optimal 2? 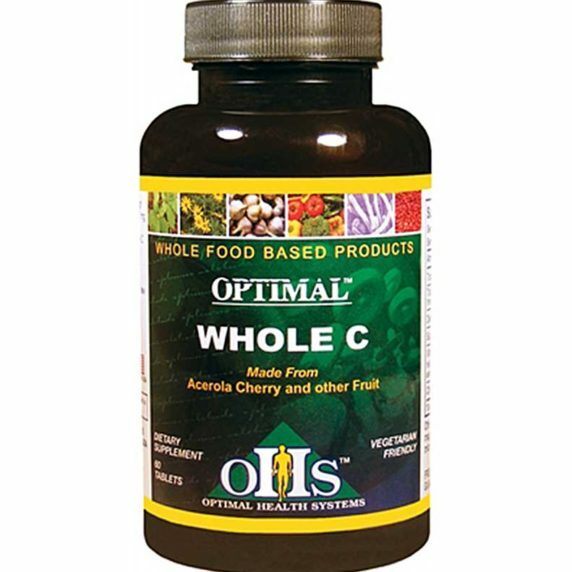 I am allergic to some whole foods; will this formula give me a reaction? 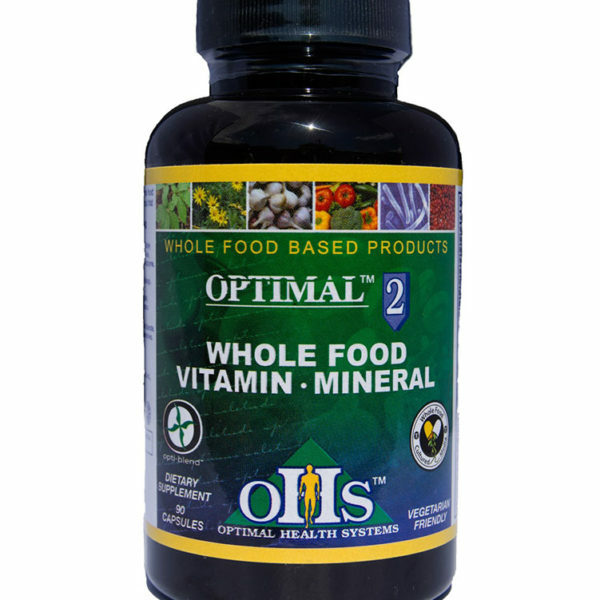 What is the vitamin content in Optimal 2?